Whoop! 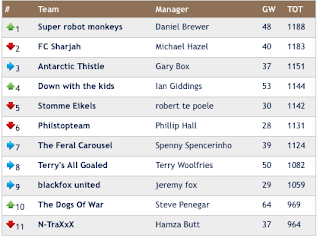 I am top of my work's fantasy football league. That's a surprise but pleasing.